This profile was written two weeks ago and abandoned because it felt difficult—if not impossible—to tackle such an influential figure and sum up his career in a meaningful way. 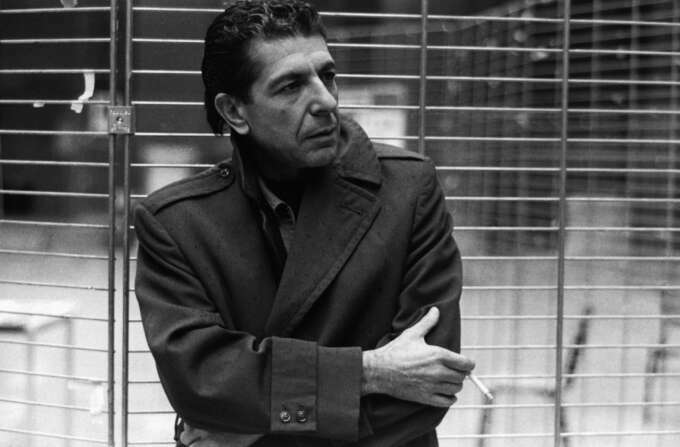 Now that news has broken that Leonard Cohen has died in the past week I felt it should be released as is, in tribute to a great inspiration and a great artist, a well dressed one at that. 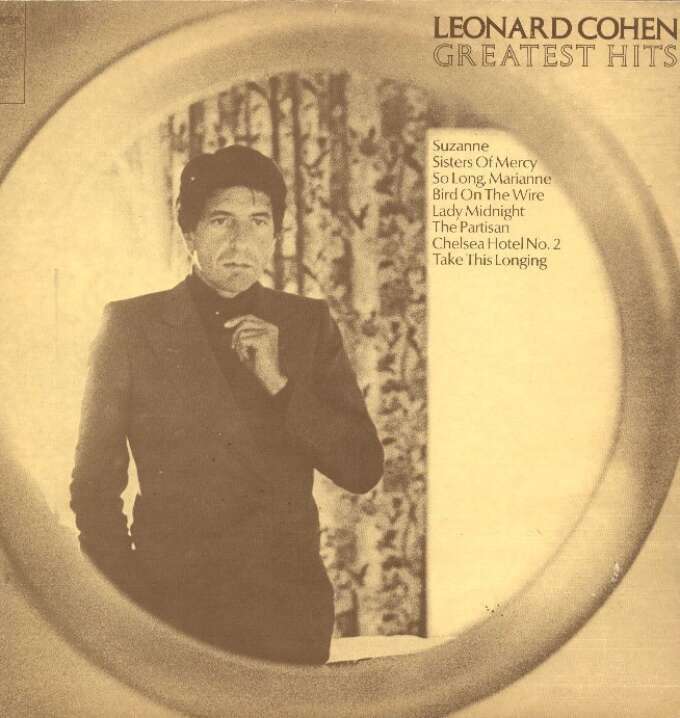 The man in a dark, double breasted suit and close-cut black hair who stared out from a copy of 1975’s "The Best of Leonard Cohen". 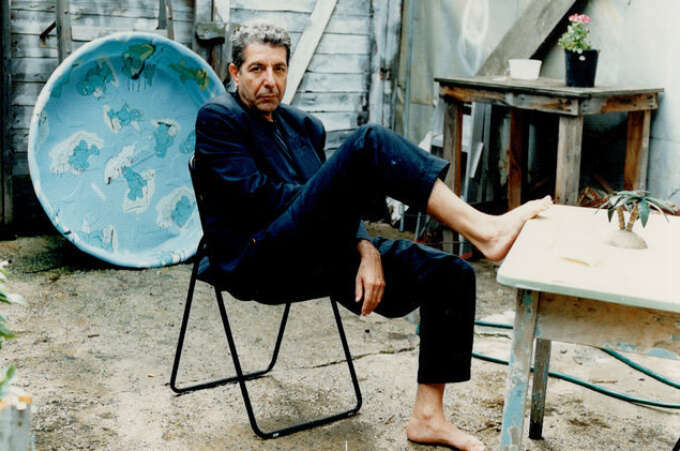 Eighty-two now and showing his age, Cohen remains a definition of elegance. This is not found only in his choice of clothing, but also his gracious manner. Cohen was born into a wealthy family of clothing manu­facturers in Montreal in 1934. This no-doubt accounts for some of his taste in tailored clothing. 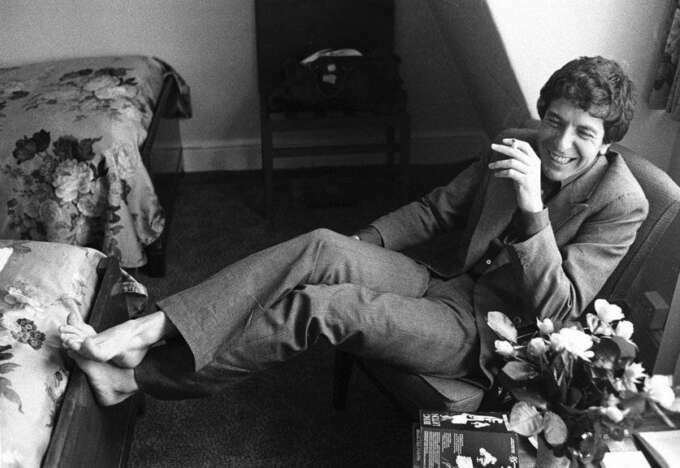 Even at the height of the casual 1970s Cohen was in his customary dark suits—albeit suits with fashionable widened lapels and open chambray shirts. He first found fame in his native Canada as a writer and poet, receiving several prizes but not much of an income. Taking his grants and a small inheritance he purchased a home on the remote Greek Island of Hydra, a home for a small community of artists. 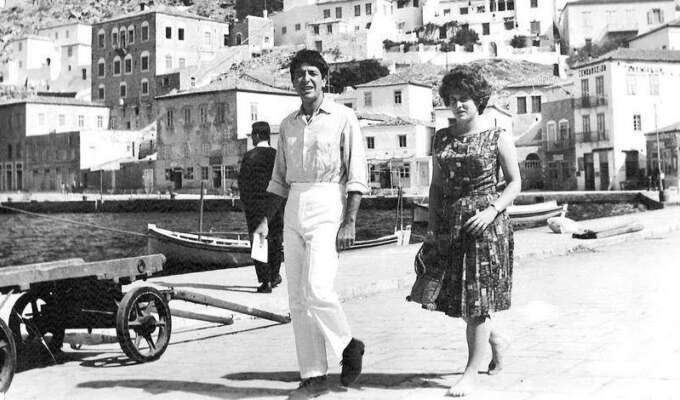 Leonard Cohen in the Greece in the early 1960s. Greece would be a great benefit to Cohen's muse, he would begin writing the songs that made up his 1967 debut and he met the Norwegian woman Marianne, who would inspire one of his most enduring compositions. 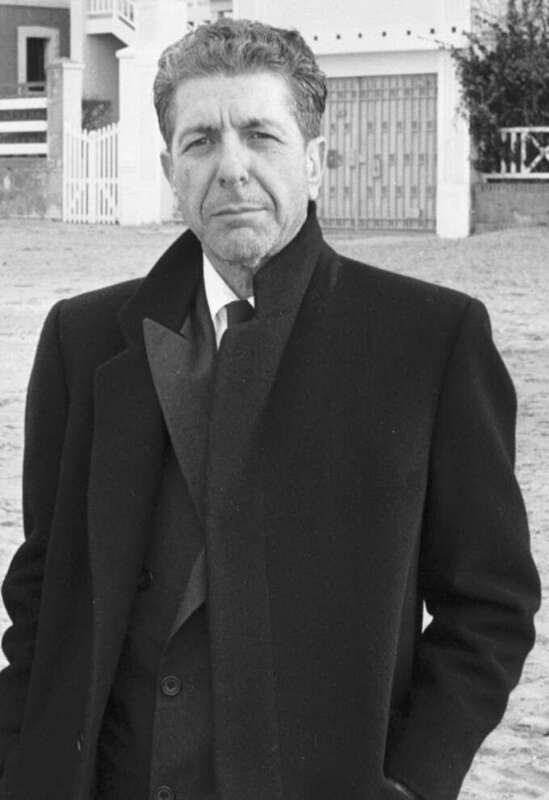 His style at the time was that of a quite European bohemian, slim italian collar shirts and cotton trousers, with layered knitwear and a knitted tie, and as you can see in a 1965 documentary when Cohen was filmed returning to Canada for a visit, the famous blue Burberry Raincoat. 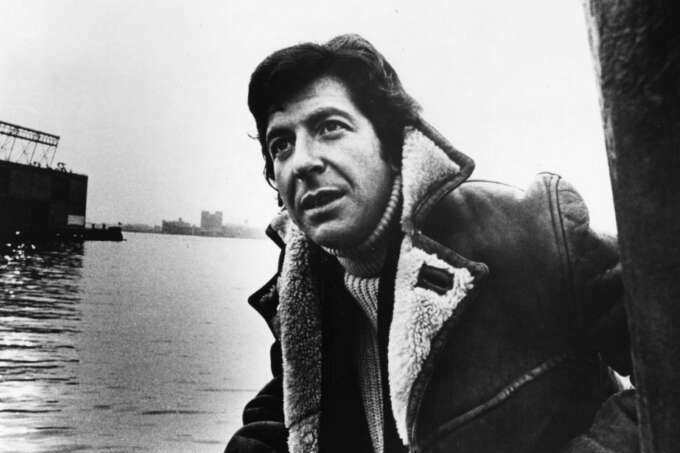 The Film Board of Canada's wonderful "Ladies and Gentlemen, Mr. Leonard Cohen" from 1965. Trenchcoat from Aquascutum, Shirt by Kamakura shirts, Cashmere/merino jumper by John Lewis, Trousers by Altea from Trunk Clothiers, Shoes by Whistles men & Whistles x Buddy Japan, Tie by Drake's. Cohen had played music since his teens. Largely drawing on early country & western, flamenco and folk. 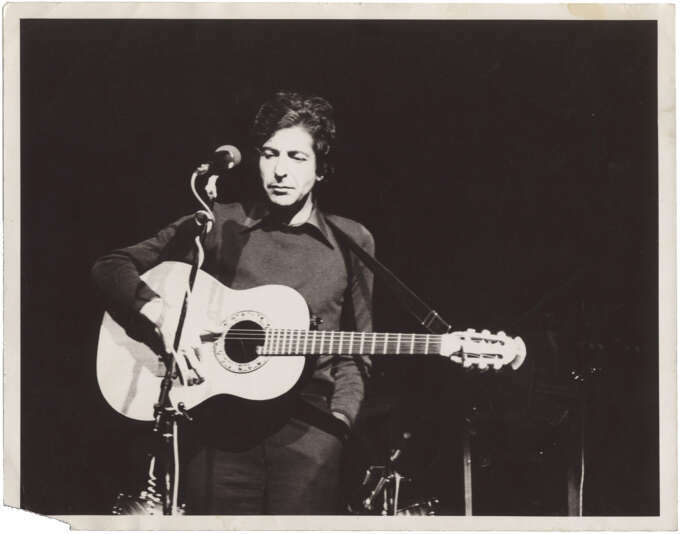 It wasn't until he heard Bob Dylan's groundbreaking work, that he saw the potential to fuse his poetry with his songwriting. 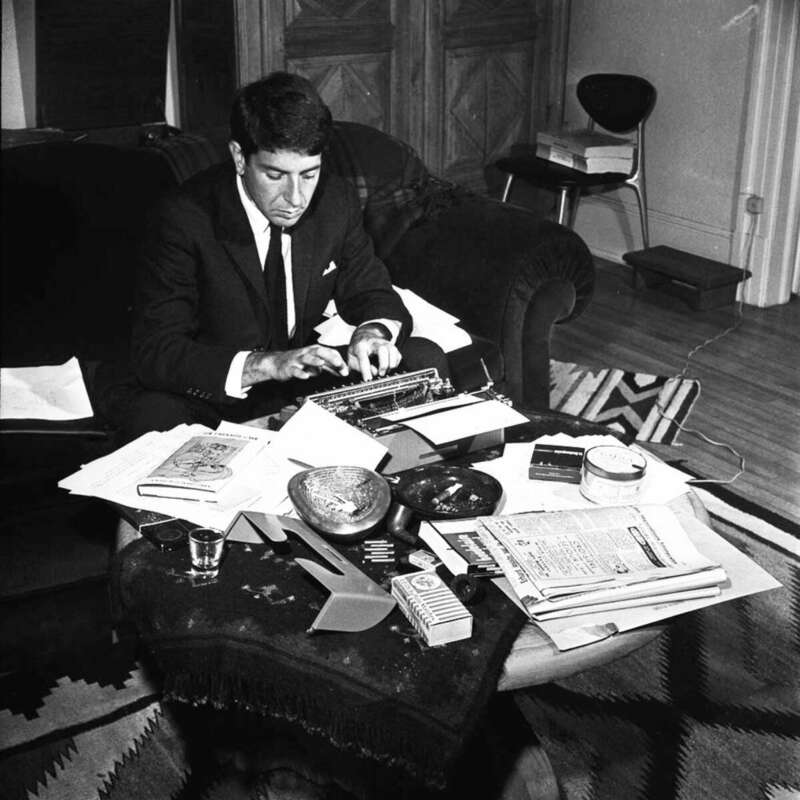 Though Cohen also ascribes the shift to a more practical consideration—literature was not paying the bills. Moving to New York, he found himself in the same circle as upcoming songwriters like Joni Mitchell and Judy Collins who recorded his composition Suzanne. His first album arrived in 1967 and instantly found an audience with its sparse sounds and intensely melancholy yet poetic lyricism. It was followed shortly by songs from a room, and songs of love and hate. During this period Cohens style deviated. 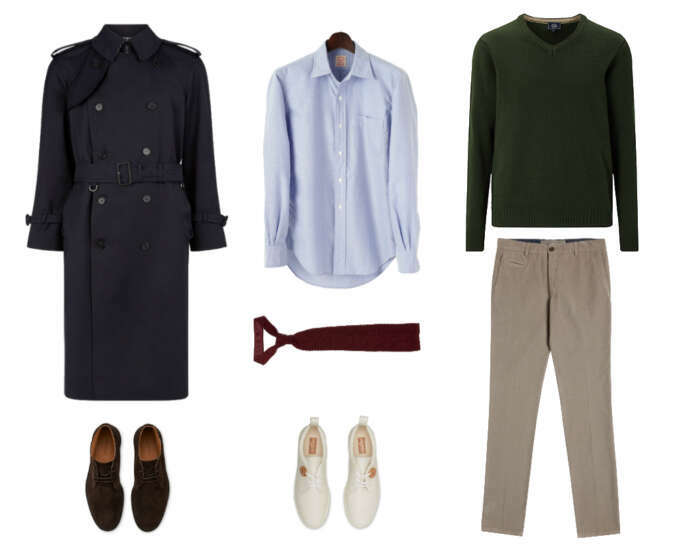 He had a casual look of work shirts, shearling jackets and heavy rollneck sweaters. His more formal wear was a uniform of a grey or chalkstripe double-breasted suit with a dark grey or black shirt. This monastic style was a steady presence. Occasionally, he incorporated flourishes like a bolo tie or small hat recalling the 1930s and ’40s of the singers childhood. Cohen has recorded sparingly over the decades. His greatest success was found in the covers of possibly his most definitive song “Hallelujah”. Throughout all he has maintained a austere but dapper appearance, complimentary of his melancholy music but also with something of the showman about it. Perhaps most remarkably, there is none of the embarrassing tendency of older musicians to pander, or chase signifiers of youth in order to feel relevant. This confidence in his own appearance is his most stylish attribute. 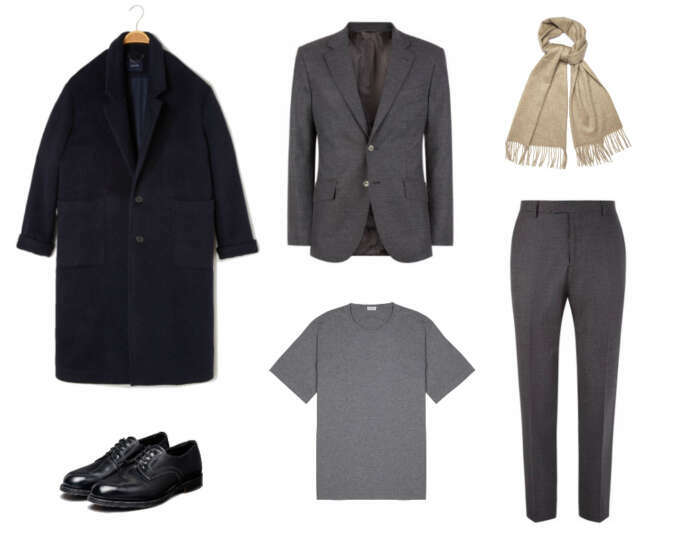 Alpaca blend overcoat from Jigsaw, Suit from Hardy Amies, Tee shirt from O.BALLOU, Shoes from Officine Generale, Scarf from Berg and Berg.